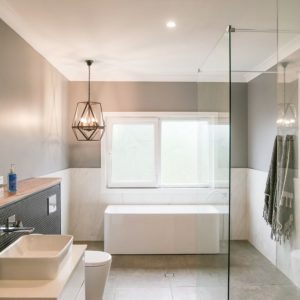 Mint Window & Door Solutions doesn’t just bring simplicity, strength and style to your Sydney home. We also deliver energy efficiency and noise reduction thanks to our double glazed windows. 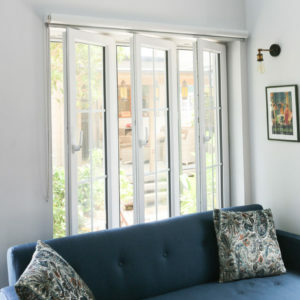 Sourced from the best double glazed window manufacturers in Ryde, our uPVC windows offer elegance and perfect harmony with both the architecture and decoration of your home, inside and out. At the same time, they provide a sustainable window frame solution that will save you money and lower your ecological footprint. Our double glazed, energy efficient windows are made with environmentally friendly uPVC, free of lead and other heavy metal additives. uPVC is incredibly long-lasting and durable. 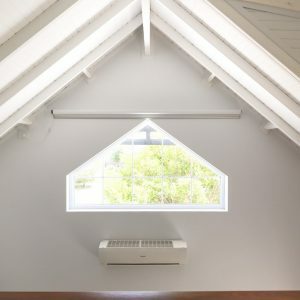 You won’t find yourself needing to replace your energy efficient windows any time soon. Did you know that 33% of heat loss at home comes through the windows and doors? uPVC double glazed windows in Sydney help to solve that problem with strong thermal insulation abilities. The double glazing of your windows aids in keeping heat indoors during winter, blocking much of the heat from entering during summer and trapping the cooler air indoors during the warmer months as well. All in all, this means that you rely less on the heating and cooling system in your home, saving energy and money. In addition to helping you significantly reduce your energy bills, double glazed windows are also effective for reducing noise levels from outside. Whether you’re looking to block out early morning roadworks or the sound of cars driving past, enquire about window noise reduction with the experts at Mint Window & Door Solutions today. The tactile features of our double glazed windows achieve aesthetic balance not only with its image, but also with the sense of strength it provides when touched. The warm and soft lines can fit easily into both classic and modern homes. Our double glazed noise reduction windows in Sydney come in a variety of stylish colour finishes that are inspired by nature. You can also choose between sliding and bi-fold styles as well. Deceuninck is known for continual product excellence throughout Europe, and now Australia. They are a company that helps build sustainable homes based on core technologies of PVC extrusion and patented Twinson material. 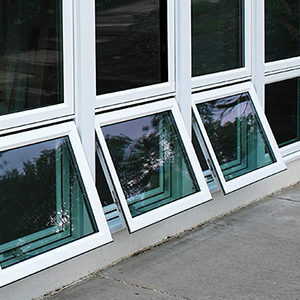 In terms of their doors and energy efficient windows, Deceuninck has designed and manufactured innovative systems with high insulation values for the best energy performance. Deceuninck’s designers and engineers have brought Mint into the fold, with geometrical calculations to create window frame strength and increase visible light. We are happy to bring this craftsmanship to those needing a superior double glazing window in Chatswood and across Sydney. 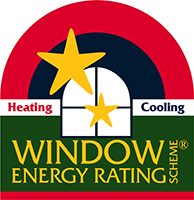 Interested in learning more about our double glazed windows or requesting a free measure and quote? Get in touch with us today by calling (02) 8315 4374. In addition to windows, we can also assist with PVC doors in Sydney and double glazed sliding doors in Sydney.